We’ve had so much wonderful rainfall this week that's been collecting in puddles, soaking into the ground and bringing our commutes to a slow crawl. 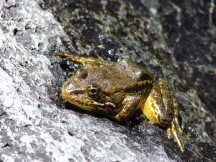 Imagine the relief to wildlife, especially water-dependent amphibians in the hills around the bay. Though our native frogs, toads and salamanders are adapted to our Mediterranean climate -- with some seeking shelter in moist places under rocks and logs and others entering estivation or “summer sleep" -- the drought has been tough on all of them. Three years of low rainfall has brought our lack of water to the “extreme” point on the nation’s drought monitor and many amphibians have suffered or died. 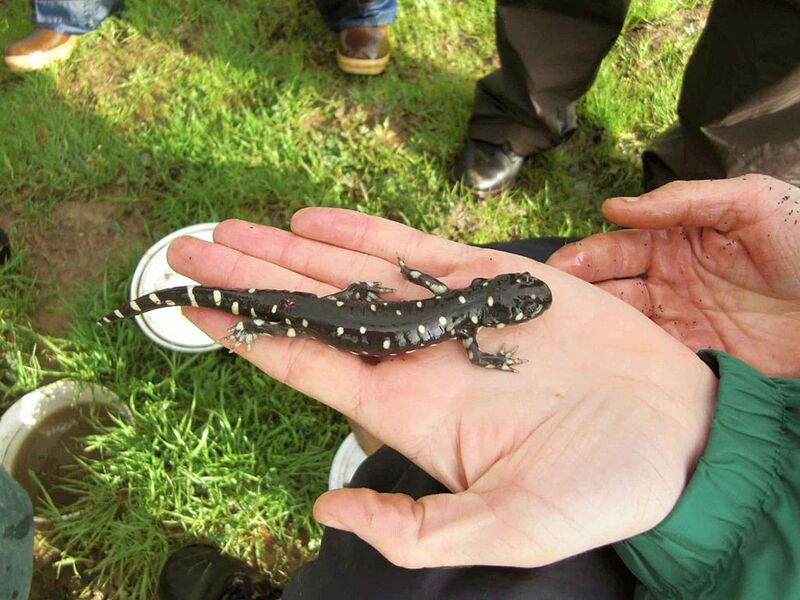 The Santa Cruz Sentinel featured a story, "Drought Overcomes Newts and Frogs in Ben Lomond" in October -- one that mirrors the situation throughout the Bay Area. For species that are already suffering declines with nearly one-third lost around the world, the drought has hit them especially hard. The rain, while not enough to bring us out of drought status yet, should be enough to begin filling ponds and creeks and entice frogs and salamanders out of their summer shelters to begin courtship and mating. In fact, so many migrate across a road in Tilden Regional Park above Berkeley that the park district closes the road in winter and early spring to safeguard their passage. The EBRPD Stewardship department staff has been surveying amphibian populations for the last 20 years with a full report available on the park website. This is one of the longest survey of amphibians in California. Some key findings in the report include that seasonal ponds, creeks and streams as well as stock ponds for cattle in the parks are important habitats for many species of amphibians. Non-native bullfrogs are a problem for amphibian populations, especially threatened and endangered red-legged and yellow-legged frog species and California tiger salamanders. Our ponds that dry up in summer, however, don’t support bullfrogs that require two winters to mature. 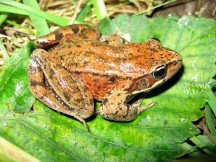 Native amphibians have a chance to reproduce without the predation of bullfrogs in these areas. Garter snakes, large predacious water beetles (often referred to as “toe biters") and dragonfly larvae will eat young amphibians in ponds and streams where they’re present. Chytrid fungus is a growing problem for frogs worldwide with infection spread through the pet, laboratory and food trades. The Save the Frogs website has a lot of information about the movement to halt the spread of chytrid fungus. Climate change is also changing habitats vital to amphibians around the world. To see the amphibian action this time of year, it’s best to go out into the hills after a rain and look for them in small ponds and creeks. Remember to observe them in their natural habitats and leave them unmolested. You can join a naturalist on a park exploration to see them and learn more about their amazing survival skills and fascinating lives. Check the East Bay Regional Parks website for more information about upcoming programs. You can use the handy amphibian identification guide from California herps.com online to see what species you might find in our area. More information about the mating habits of California newts can be found in my previously published article, "Life Aquatic and Terrestrial for California Newts" for KQED QUEST.